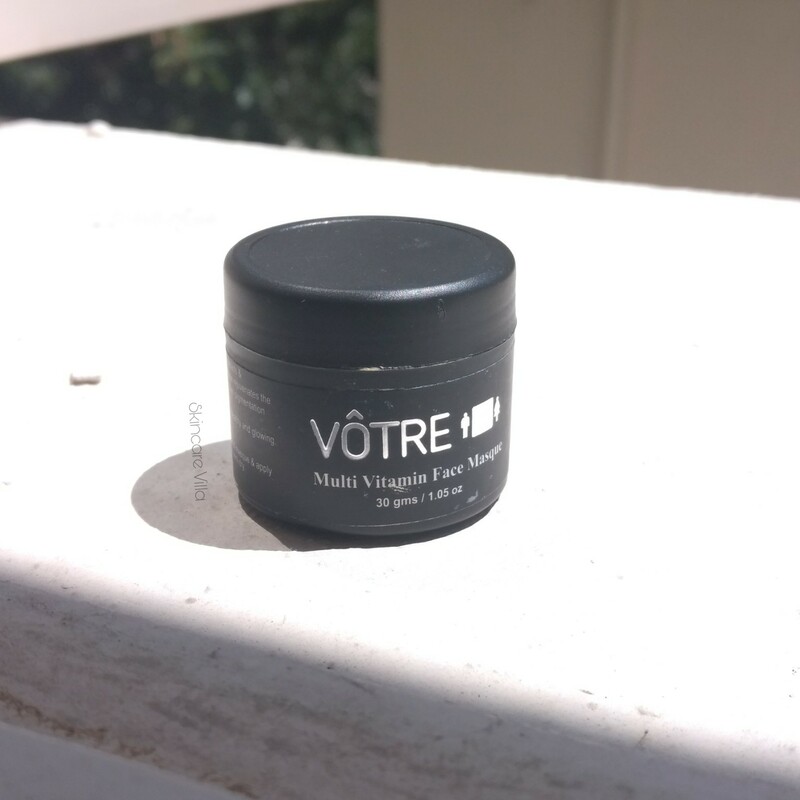 I had received a sample size of Votre Multi Vitamin Face Masque in one of the VanityCask Boxes. I have used it quite a few times and have loved it's effects. Let's head to the review to see how it fares. Brand Claims - Enriched with rich properties of botanical extracts and essential oils, this extra-ordinary face masque rejuvenates the skin and improves skin elasticity. It also removes pigmentation marks and blemishes and reduces skin ageing. The multi Vitamin masque make your skin healthy and glowing. This MultiVitamin infused Masque contains vitamins like K,C,E, B5. This masque is proven to lighten the appearance of dark spots, correct uneven skin tone, and significantly brighten the complexion. The highly concentrated treatment formula is also proven to replenish and preserve hydration for 24 hours, promote suppleness and smooth skin texture so you get youthful-looking, luminous skin. An exclusive brightening complex derived from vitamin C is proven to reduce and prevent the appearance of dark spots and even skin tone, while natural botanical extracts help to visibly firm and smooth wrinkles. The formula is further enriched with papaya extract, notable for its hydrating and calming properties. 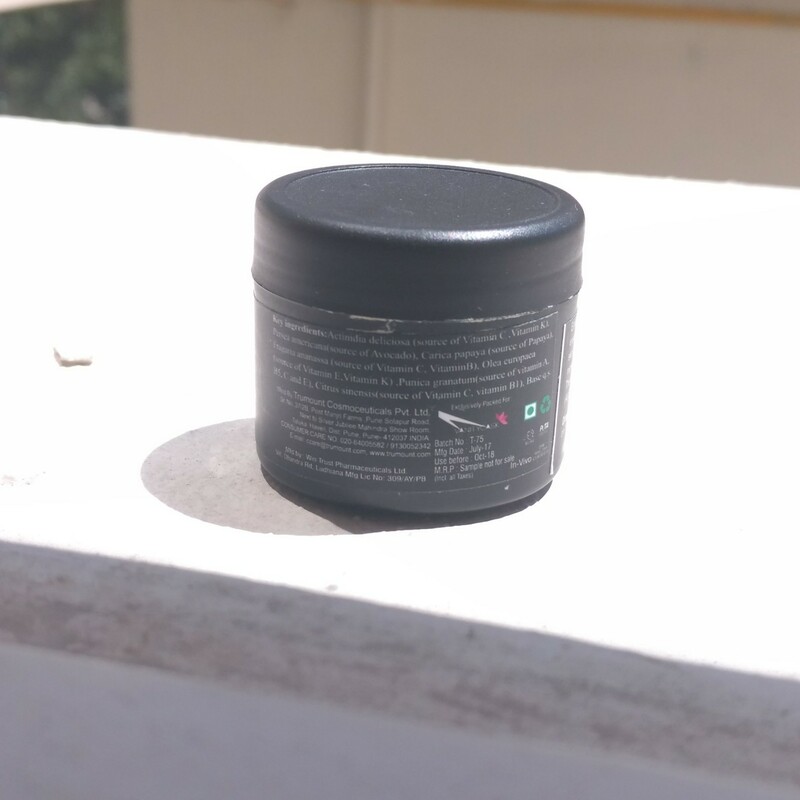 The sample size product is housed in black plastic tub, although a full size product has a transparent plastic packaging with a silver lid. I usually apply this face pack in the evening or at night, since I tend to be lazy for dry powder face packs. 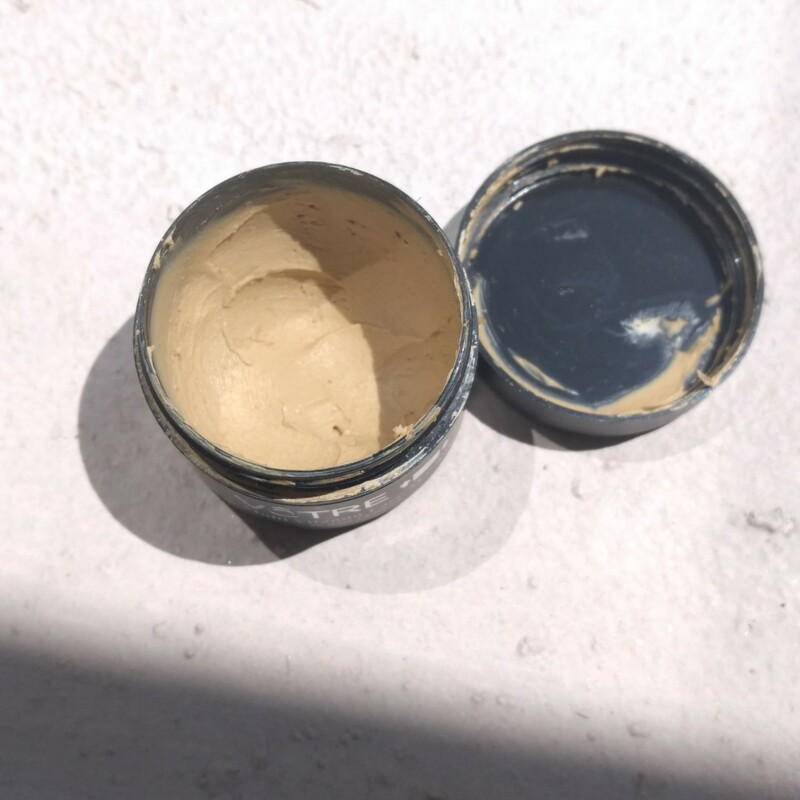 The product looks like a clay mask with a brownish, yellow hue. The face pack is ready to use and is a little bit tacky to take out from tub. Once we start applying to the face it spreads easily but not evenly. We need to constantly try applying the face pack evenly. Recently when I opened the tub u could see the face pack has hardened a bit and lost a little bit of moisture. Nonetheless it still gets applied on face due to the fine texture. I would say consistency needs to be a bit runny so that application is easier, but if it's a clay based product, it would be difficult to use after many months. The face pack once applied gives a little tingling sensation in first 2-3 usages. Once the skin gets adjusted to the pack it doesn't tingle. Although any sensitive area might get a slight burning sensation which calms down after some time. After 10-15 minutes of washing off, the face feels hydrated, deep cleansed, brightened and smooth. With regular usage I did notice fading of my acne marks but no significant effect on pigmentation. Price, shelf life and Availability - 1260 INR for 100 gms (sample size available on Votre website) with a shelf life of one year. Available on major shopping portals. 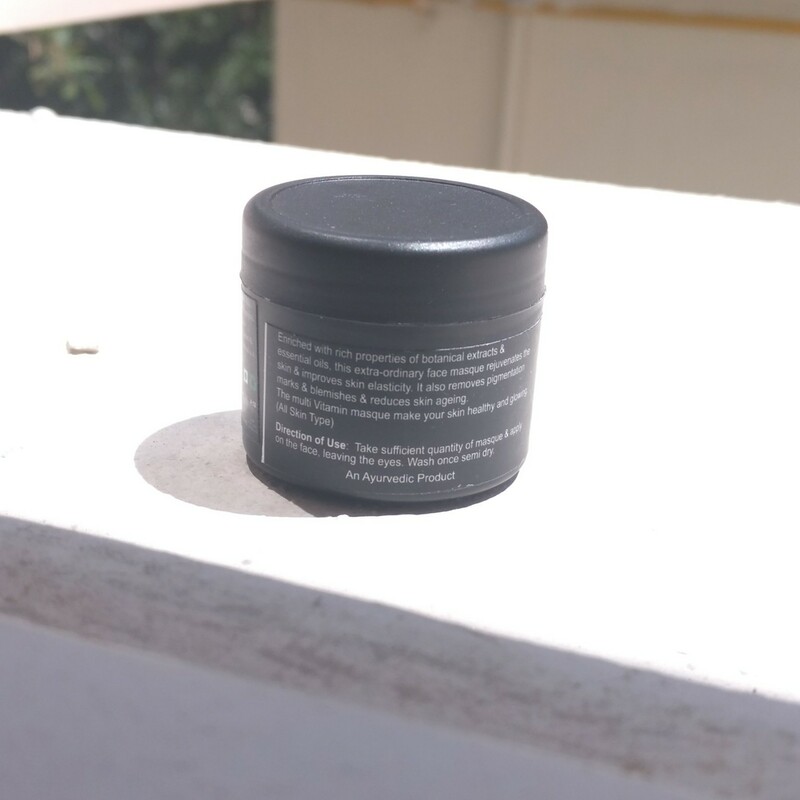 The face pack is one of it's kind with different vitamins (fruit extracts of papaya, strawberry, pomegranate, Olive, Avocado, orange) added to the formulation. I quite liked the concept and the after effects of the face pack. Good to go if you want to try it and want the above mentioned effects. I might grab a sample size like this if I ever feel like buying it. But with many face pack options we have nowadays, I rarely repurchase same face pack, unless of course it's quite exceptional!